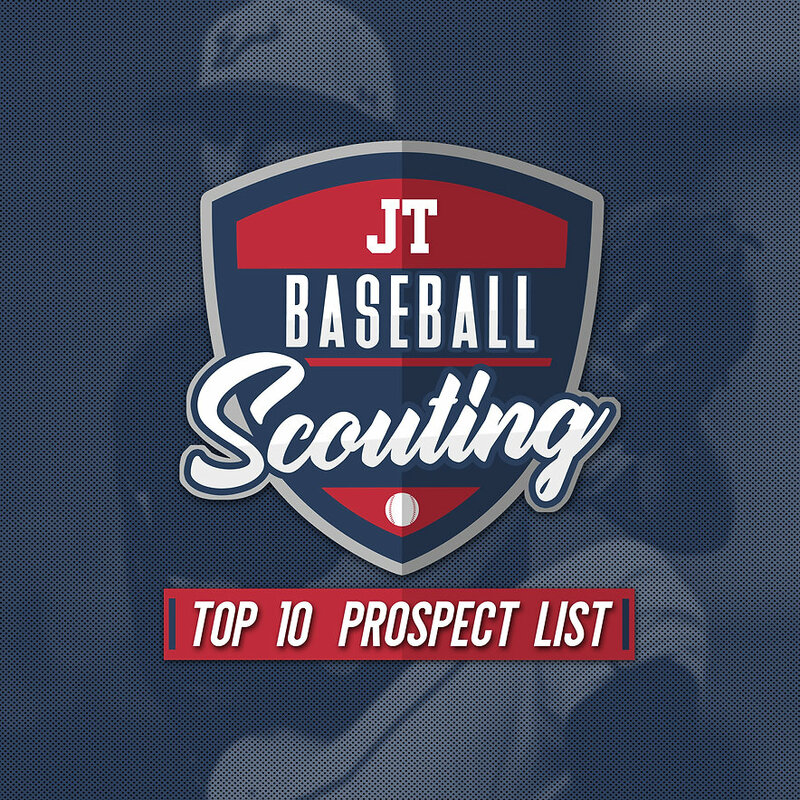 With the 2018 MLB Draft approaching, JT Baseball Scouting is rolling out our comprehensive draft coverage package. First up is our Top 10 Prospect List of draft eligible prospects. The rankings are based off players’ tools and scouting evaluations. Of note, this list only includes players evaluated by JT Baseball Scouting. Over the past five months, we have personally seen more 100 players, with 71 draft-eligible, from the high school ranks, to small colleges and major universities. We’ve been on the road, attending games from as far south as Miami to as north as Jacksonville. Also, worth noting, this list does not include every player across the country. We are South Florida based, and have combed as much of the state as possible to see as many players as possible. We do include players from other states that have played in the state of Florida. 10. RHP Lyon Richardson, Jensen Beach HS. Richardson is a hard throwing high school pitcher with a fastball that has reached 97 mph. He stands 6’2, 190 pounds with an athletic frame and powerful legs. Working with three pitches, Richardson’s fastball sits 92-97 mph, he features a change up with plus potential at 84-86 mph and flashes an inconsistent slider. As a short arm thrower, Richardson may end moving to the bullpen in pro ball, but has a great amount of athleticism and a clean delivery. That, mixed with development of his slider will allow Richardson to compete as a starter. 9. LHP Daniel Lynch, University of Virginia. Lynch is a junior who has started 35 games in his college career. This season has been a breakout year for the southpaw, who has 98 strikeouts in 81.2 innings pitched. His strikeouts per nine innings is 10.80, and he has walked just 20 batters. Lynch works with a fastball at 90-93 mph, a change up with fade, which shows plus potential. His slider has two different types of break, which could lead to the development of two breaking balls later on. The lefty can get sweeping action on the slider and slurve-type action: both miss bats. Lynch profiles as a back end starter. 8. 3B Jonathan India, University of Florida. Playing in the SEC as a three-year starter for the reigning national champs, India has faced his share of competition and continues to improve. With a short, compact swing and good knowledge of the strike zone, India has potential for a plus hit tool at the pro level. The only question on India has been whether he will hit for power, but he has answered that question this season with 16 home runs. His body hasn’t maxed out yet, so there may more power later on. I see India moving to second base in the future with occasional all star production. 7. RHP Logan Gilbert, Stetson University. Standing 6’6, 225 pounds, Gilbert is an imposing, durable presence on the mound. Gilbert’s fastball ranges 90-94 mph, with a comfort zone of 91/92 mph. Due to his plus extension, his fastball plays higher than his velocity shows. The Stetson junior features a curveball with down movement, a slider with tilt and a change up. Gilbert shows solid pitchability and likes to change eye levels, often setting up his fastball up in the zone or working down with his curveball. In 93 innings this season, Gilbert has 134 strikeouts and walked only 20. His college workload is a potential red flag, as Gilbert has thrown more than 110 pitches seven times this season. 6. RHP Brady Singer, University of Florida. One of the more established and talked about college arm in the 2018 class, Singer has a strong track record of success in the SEC. Singer lacks elite stuff, but features a heavy sinker with plus movement at 90-94 mph. When his fastball is left up in the zone, it gets hit hard and doesn’t miss many bats. The right-hander possesses an inconsistent slider and below average change up. A red flag is Singer’s delivery, which could cause wear-and-tear. He drops his elbow to shoulder height, some times lower, as he releases. His lower arm slot puts pressure on his arm. I give Singer a Doug Fister comp and project him as a number three starter at the Major League level. He should get to the big leagues fast. 5. RHP Jackson Kowar, University of Florida. The Saturday starter for the Gators, Kowar has been the number two behind Singer for the past two years. Standing 6’6, Kowar is a power arm who may still have projectability. Weighing only 185 pounds, his lanky, thin build should fill out more, which could cause an uptick in velocity. Already, Kowar’s fastball can reach 96 mph, and his comfort zone is 94/95 mph. His change up is a plus pitch that he uses to both left and right-handed hitters. Kowar doesn’t miss many bats, but development of his curveball should give him more swing-and-miss stuff. I wouldn’t be shocked to see Kowar have a more successful pro career than his college teammate Singer. 4. RHP Casey Mize, Auburn University. Mize is a junior at Auburn and arguably has the best command of any pitcher in the draft. Due to his ability to throw any pitch for a strike, he has been talked about for months as the top player of 2018. His fastball velocity is 93-96 mph; his splitter is a plus pitch with fade; a cutter and slider work off each other, and give him a four pitch mix. Mize should climb quickly through the minor leagues, but my concerns are with his durability. He is a high-finisher, meaning he doesn’t get much extension on his pitches. He mainly is an all-arm thrower, lacking lower half involvement in his delivery. You combine that with the types of pitches he throws: a splitter, cutter and slider — all put a lot of pressure on the forearm/elbow — and his prior injury history of being shut down due to arm fatigue and a flexor strain in his elbow, and you start to see the makings of a potential injury. 3. INF Triston Casas, American Heritage HS. Listed among the top power bats in the ’18 class, Casas has the capability of being included as one of the best overall hitters, as well. Standing 6’4, 240 pounds, Casas profiles as a first baseman, but has spent the spring playing third base. While he isn’t the most athletic guy, his above average arm strength plays at the hot corner, so the worst case is you are getting a Gold Glove caliber first baseman. At the plate, Casas shows off a pro approach in the cage during batting practice, spraying line drives foul pole to foul pole. He has above average barrel frequency and his power shows up in game. Casas has the ability to cover plate well, having homered twice in the same game, once on a letter high pitch, keeping his hands above the baseball, then homering on a line drive to centerfield on a ball low and away. He has shown signs of struggling with off-speed, and may be susceptible to fastballs in under his hands. Weight could be a concern, but Casas has a strong work ethic and got his body in great shape this spring from where it was last fall.